1. Take the Taipei MRT (Red Line) to Jiantan Station, and transfer to one of these city buses: Neihu Shuttle Bus, Red 3, No. 646, or No. 902. Get off at the Ruiguang Street stop. Walk forward (southeast) on RuiGuang Street for about three more minutes then turn right onto Yang Guang Street. After a couple hundred meters, turn left into the third lane (Lane 365) and go another 100 meters or so; the building will be on your left. 2. Take the Taipei MRT (Blue Line) to Taipei City Hall Station, and transfer to one of these city buses: S2, Blue27, or Neihu Shuttle Bus. Get off at the Ruiguang Street stop, and walk back (southeast) along RuiGuang Street for about three minutes. Turn left onto Yang Guang Street. After a couple hundred meters, turn left into the third lane (Lane 365) and go another 100 meters or so the building will be on your left. 3. 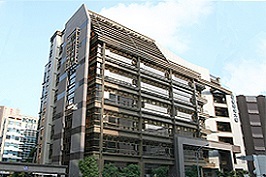 Take the Taipei MRT (Brown Line) to ZhongShan Jr. High School Station. Transfer to one of these city buses: Red 31, Red 29, or Neihu Shuttle Bus. Get off at the Ruiguang Street stop, and walk back (southeast) along RuiGuang Street for about three minutes. Turn left onto Yang Guang Street. After a couple hundred meters, turn left into the third lane (Lane 365) and go another 100 meters or so; the building will be on your left. 1. From C.K.S. Airport, drive north along the freeway roughly 35 km and take the NeiHu Exit; keep left and turn left under the highway onto ChengGong Road. Go north a couple blocks and turn left at the big intersection onto Minchuan E. Rd. Sec.6. Proceed west on Minchuan about 0.6 km, and turn right onto Rueiguang Rd. Drive northwest along Rueiguang Rd. 3/4; km and turn left onto Yang Guang Street. At the third lane (Lane 365), turn left and go another 100 meters or so; the building will be on your left. 2 From downtown Taipei, drive east along Minchuan E. Road and cross Minchuan Bridge. A kilometer and a half after the bridge, turn left onto Reuiguang Road and proceed northeast on Rueiguang Road for three quarters of a kilometer; at the intersection with Yang Guang Street, turn left. Take the third lane on the left (Lane 365) and go another 100 meters or so, and the building will be on your left.